Because if your confidentiality can’t be guaranteed, walk away. Contrary to what some critics say, employee surveys can (and should) be confidential. In fact when searching for a survey vendor, confidentiality should one o f the most important differentiators when you choose one. The purpose of an employee survey is to hear from employees what is really going on…to get their honest input and insights about what it’s like to work for you. It might be hard to swallow but the truth often comes with a reality check. If you can’t promise confidentiality the survey will be a complete waste of time and money. Why would anyone bother otherwise? Critics will say that ‘any culture that has to make a survey confidential in order to get people to talk is a broken culture to begin with’ are in denial. As humans we are often careful about what we say at work even if we love our jobs. We disagree with this negative attitude because we have seen employee surveys work. We have done millions of surveys and seen first-hand how a broken culture can be turned around and mended. The old saying ‘If you don’t measure it you cannot improve it’ could not be more true with employee surveys and if you really want to know what needs to be improved in your organization, an employee survey remains the best, most effective first tool for finding out what’s broken, and what needs to be fixed. Then, in order to know if your improvements are actually working, you have to measure them again. There is hope for any workplace that wants to make a change and be a place employees are proud to work for, it just has to be 100% safe for them to tell you what’s really going on. A confidential employee survey not only honors free speech is protects it as well. When answering surveys by paper, you never ask an employee to identify themselves and a completed survey should always be sent back to your provider directly, not to HR. 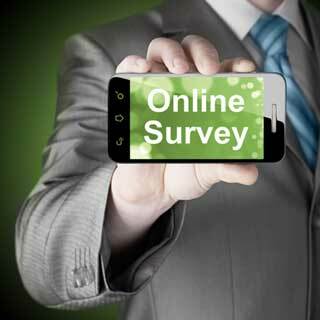 An employer should never see individual completed surveys. When answering surveys online, employees should be sent a randomly-generated unique access code. This code is destroyed by the system as soon as they complete the survey, making it impossible to trace answers. Access codes are never provided to the employer and each random code is sent from a closed email system so that not even the survey provider has direct access to the codes generated. When a survey is closed, all unused access codes are purged from the system. When reporting results, only aggregates and percentages based on the total number of responses are returned. No one will receive the results of any individual survey. The comments provided to any short essay questions in a survey must be grouped together with those from all other employees and randomized before an employer sees them. Insightlink has been conducting employee surveys and helping organizations build engagement and increase job satisfaction since 2001 for clients across the USA and Canada, across all industries and we do provide 100% confidentiality, it is our client guarantee. Please get in touch if you would like a quote, to schedule a demo or just want to chat and learn more. You can write us info@insightlink.com, call Lynn Gore at 866-802-8095 ext 705, visit our website for more details at www.insightlink.com.